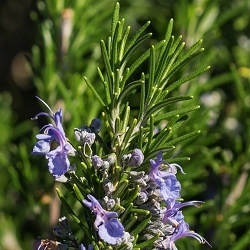 Rosemary ct verbenone Hydrosol has expectorant and mucolytic properties that aid conditions of mucus, congestion, and breathing difficulties related to colds, flu or bronchitis. 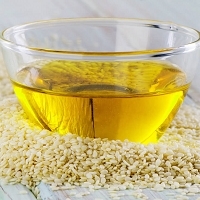 Suzanne Catty mentions using in hot compresses with ear aches, arthritis, rheumatism and gout. Both Rosemary ct verbenone and our other Rosemary Hydrosol are excellent as a hair rinse for promoting healthy hair growth. 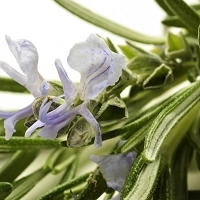 Suzanne also mentions that Rosemary Hydrosol may be helpful for mild hair loss. 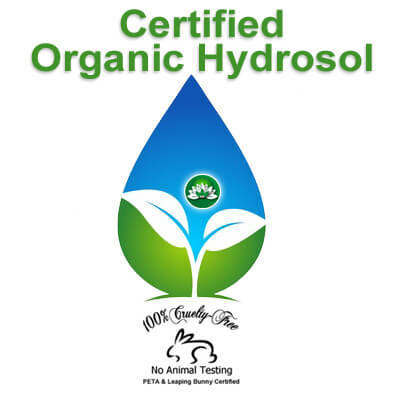 The shelf life of hydrosols is generally up to 2 years or longer when properly stored in the refrigerator. 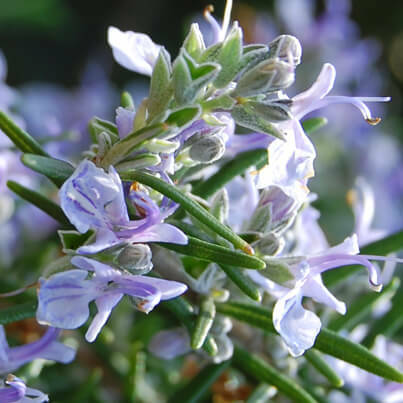 This Organic Rosemary Verbenone Hydrosol contains no preservatives. 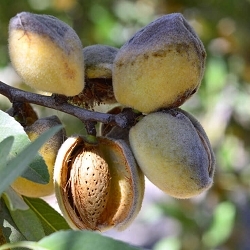 Safety: Avoid in cases of high blood pressure and in the first trimester of pregnancy. This is one of the most beautiful Rosemary's I've ever smelled. 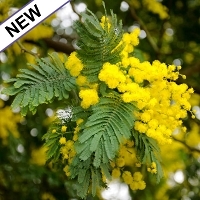 It has a clean crisp smell and it has an amazing effect of awakening the senses.